In 2017 the United States will continue to attract foreign businesses to establish presence in the American marketplace. Oftentimes, foreign companies will plan a strategy that first involves establishing a new office to provide sales and marketing for the parent company abroad. The parent company will typically task a key executive or manager to set a foothold in the U.S. market. Accordingly, the parent company must transfer the executive or manager from the parent company to the new office in the U.S. A tool to accomplish this intracompany transfer is the L visa. Applicants for this visa must carefully consider several requirements in the early phases of planning to achieve both the L visa and business success. One of those key requirements is office space. 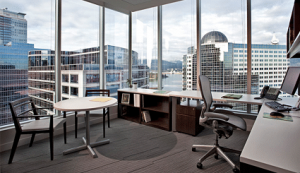 This article will provide guidance to companies seeking an L visa as they evaluate office space requirements. Here are three tips. The regulations require that applicants submit evidence that sufficient physical premises have been secured. The regulations do not define the term sufficient. Thus, applicants must consider the nature of both the existing business model and the intended scope of the expansion plan into the U.S. As they consider the business needs of the organization, the space should provide enough capacity to house the immediate equipment and personnel needs of the organization. Applicants should also consider that the space has the capacity to house staffing levels that are projected in the business plan. For example, a company that is creating a sales and marketing subsidiary would likely require less space to house personnel that would only need a computer station or a conference room to meet customers. On the other hand, a company that will manufacture products will require substantially more space to house large equipment and personnel. Comparable data to show that the applicant has previously operated in similar spaces. Applicants must enter into a lease agreement or purchase the space. In most cases, applicants will lease the office space. Applicants must carefully review the lease agreement to ensure that the lease is secured and that it identifies the necessary space. In situations where applicants sublease the space, it is critical to provide evidence that the primary tenant or leasee has the written right to sublease the space. At the earliest opportunity, applicants should verify this right to sublease or assign to protect themselves against litigation and to secure their rights. This right to assign or sublease must be documented and should be provided to the U.S. government. As applicants evaluate office space to meet current business needs, they should also look to the future and confirm that key rights to renew or extend the lease terms are clearly outlined in the lease agreement. Additionally, if possible, applicants should secure the right to expand into adjacent space in case business needs arise that would require expansion into more space. Applicants should consider including a section in their Business Plan that strategizes and anticipates future space needs as their business grows. Inclusion of this space strategy will impress the adjudicating officer. In conclusion, applicants should fully assess their office space strategy by taking a realistic approach on how much space is sufficient as they consider their current business needs and future plans. Therefore, through careful business planning and legal contracting, applicants can increase their chances of securing their L visas.